The Minister of Works, Transport and Infrastructure, Papali’i Niko Lee Hang, has a new title. Yesterday at Siufaga Savai’i, Papali’i was bestowed the Unasa title. He was among 53 new Unasa titleholders blessed during a ceremony, which started with a church service on Friday night. Prime Minister Tuilaepa Sa’ilele Malielegaoi was present during the traditional blessing yesterday. The Minister of Education, Sports and Culture, Loau Keneti Sio was also there among other prominent members of the community. 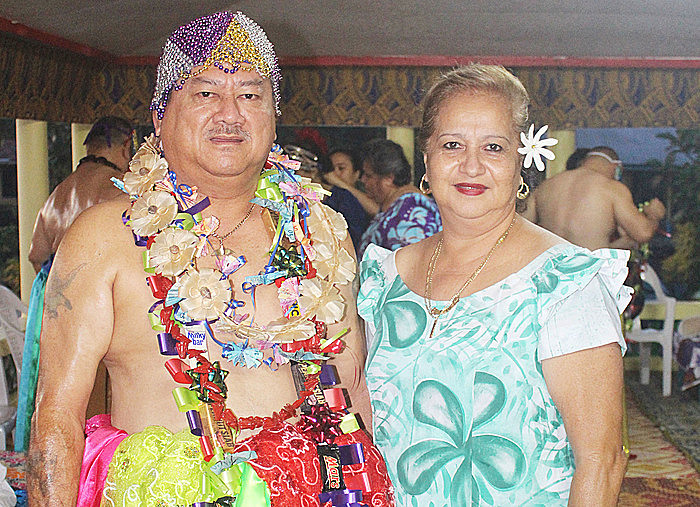 For Papali’i, his connection to the Unasa title is through his wife, Doris Lee Hang. “For a very long time my family had asked me and my brothers to take up the title but I kept telling them I wasn’t ready,” Mrs. Lee Hang said. “It was the same response from my brothers and so last year, they offered the title to Papali’i and he told them to give him time to think about it. “Just this year in February, Papali’i finally agreed and told them that he would honour their wish. 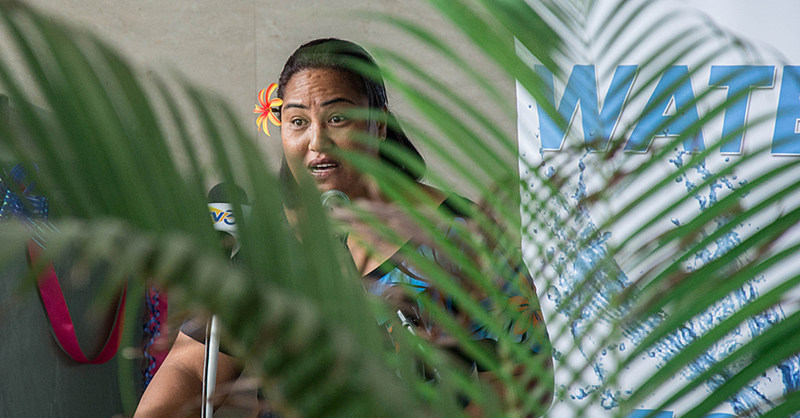 Mrs. Lee Hang added that the presence of Prime Minister Tuilaepa was extremely humbling. “We didn’t know that he was coming but I guess it’s all about good timing,” she said. “I humbly acknowledge the support from the Prime Minister for taking time from his busy schedule to attend the event. “I just can’t thank my family enough for their love and respect for my husband and me as well.” As for Unasa Papali’i Niko Lee Hang, he said he was deeply honoured by the respect accorded to him through the title. During the blessing ceremony, Prime Minister Tuilaepa highlighted the importance of leadership and the many challenges the territory brings. Prior to the traditional formalities, the title holders were blessed on Friday evening by Rev. 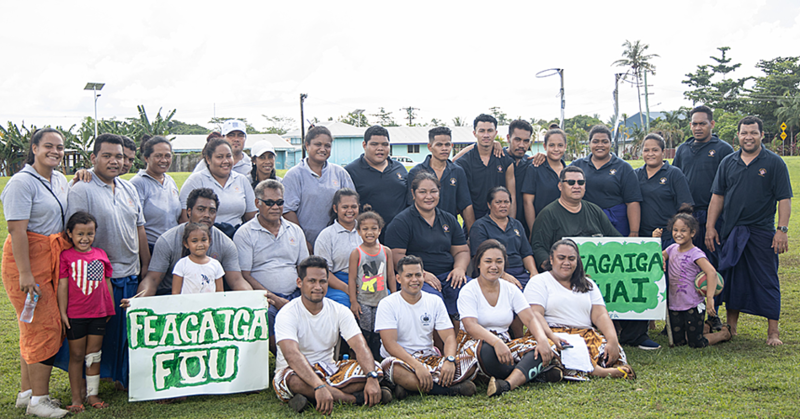 Fiafia Toleafoa of the Congregation Christian Church at Si’ufaga. “You have been chosen by God for a purpose,” said Rev. Toleafoa. One of the family representatives encourages the new holders to always remember that love is the key to lead their family. “Without love there is no pint of becoming a leader,” he said. “You have been chosen by each chief of your family to look after one another. 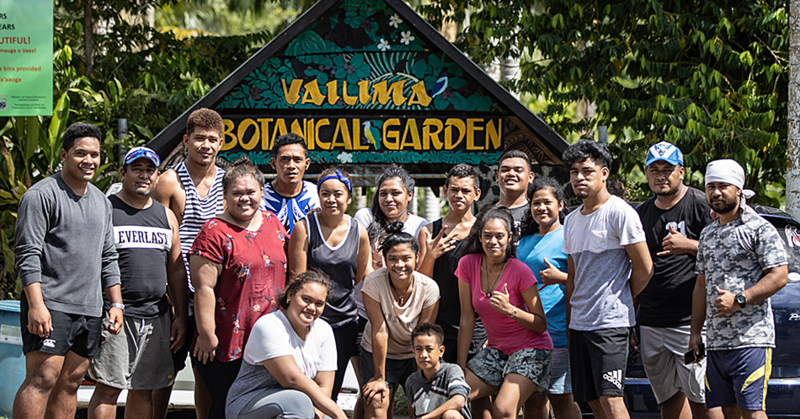 “In the Bible it says when I receive Christ I became a whole new person, so today who have become a new person, you are carrying with you one of the most important title in Samoa. “Therefore act like a chief, where ever you are staying always remember that you are one of the most important people and that you are one of the leaders of this village. “Treat each members of your family with love, don’t think that you are a matai you will be the king. “No, you are there as a leader, whatever problems your family goes through you are there to smooth everything out. The day ended with traditional formalities.